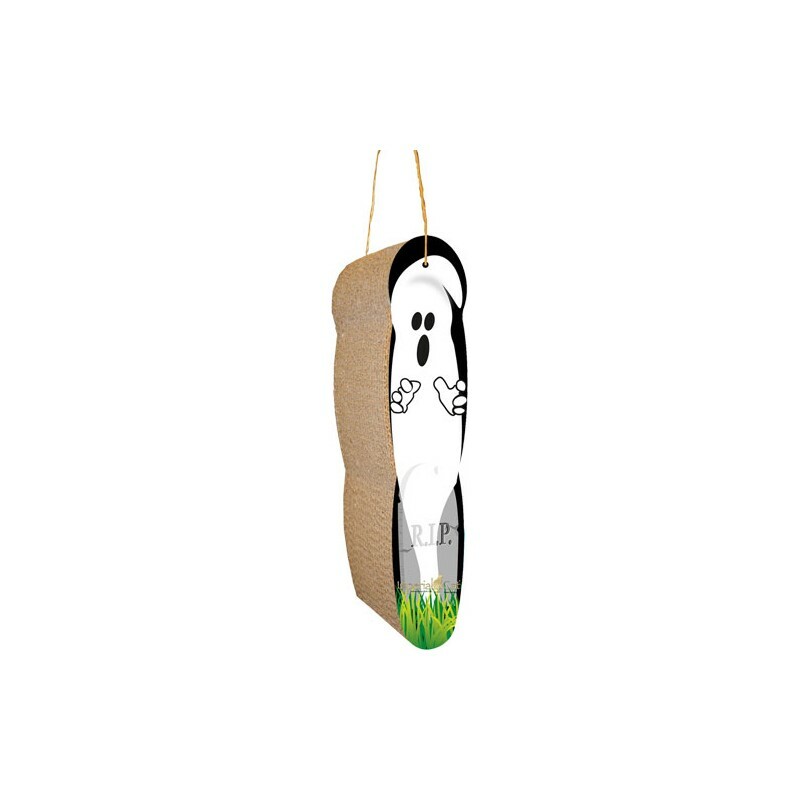 This spooky Ghost is designed to satisfy a cat's vertical scratching needs. 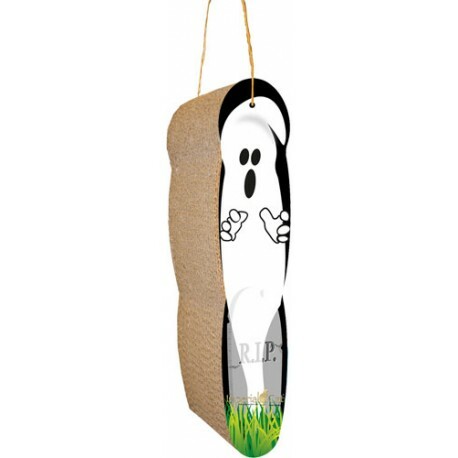 Arrives pre-strung for quick and easy hanging from a door knob or other surface. Made in the USA from minimum 30% recycled paper. Bag of 100% certified organic catnip included. Dimensions: 4" x 3.25" x 14.75"